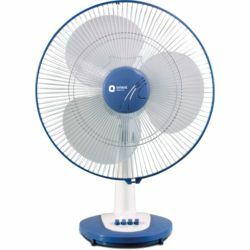 Beat the heat this summer season with the stylish Orient Desk 71 table fan that will seamlessly blend into your existing home dn流�. 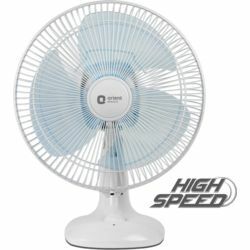 The fan features an extra powerful motor and aerodynamic resin blades to comfort you with high air delivery. 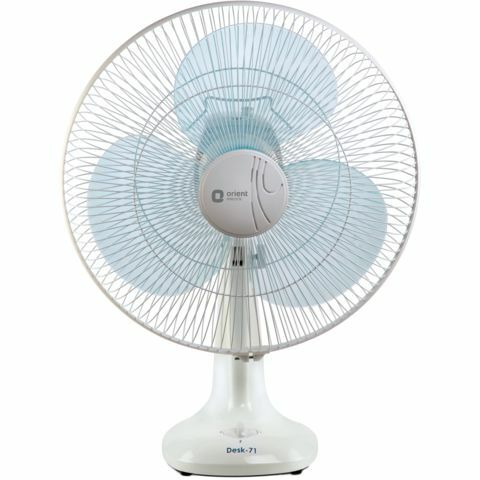 The highlights of this table fan are rotary switch control, easy snap fit assembly, and extra protection against corrosion with powder coated guard and polymer ring. The Orient Desk 71 is highly durable and will prove to be true value for your money. Beat the heat this summer season with the stylish Orient Desk 71 table fan that will seamlessly blend into your existing home dn流�. 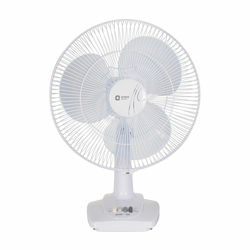 The fan features an extra powerful motor and aerodynamic resin blades to comfort you with high air delivery. 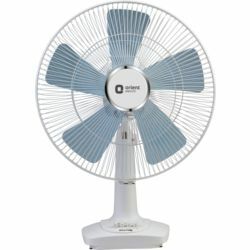 The highlights of this table fan are rotary switch control, easy snap fit assembly, and extra protection against corrosion with powder coated guard and polymer ring. The Orient Desk 71 is highly durable and will prove to be true value for your money.